What is a plea bargain? Why are so many cases plea bargained? This is a piece I wrote for the Ellis County Press on plea bargains. Joe Goodguy is charged with aggravated assault with a deadly weapon, a second degree felony. The criminal case against Joe has problems. The “victim,” Bob Badguy, is a felon who was high on crack during the offense. Joe is a decorated elementary school teacher with a clean record. Finally, the prosecutor has a murder trial next week and 100 other serious felony cases to work on. The prosecutor offers a plea bargain. If Joe will plead guilty the prosecutor will reduce the charge to a misdemeanor and put Joe on probation. Joe speaks with his defense lawyer and accepts the plea bargain. Plea bargaining is the process in which the state and defendant reach an agreement on punishment in exchange for the defendant’s guilty plea.Plea bargains are reality in every court in Texas. In my experience, more than 90 percent of criminal cases are resolved via plea bargain. Why are plea bargains so popular? First, because prosecutors have a lot of cases to move. Blame the war on drugs for this one. The sheer volume of criminal cases (especially felony drug cases) means it would be impossible to have a trial in every case, or even prepare every case for trial. Dallas County has more than 24,000 felony cases pending. Those cases cannot all be tried. Second, many cases have problems. As a defense attorney I often raise perceived shortcomings in a case to the prosecutor. Instead of dismissal most prosecutors will extend a better plea offer. In our example, Joe escaped a serious felony charge (and jail time) and received misdemeanor probation. Reduced charges, less probation/jail time, dismissal of companion cases etc, are all options when plea bargaining. Finally plea bargains offer certainty and finality. Jury trials are the best way to avoid wrongful convictions. However, jury trials carry an inherent unpredictability. Plea bargaining allows a defendant to control the outcome. Fatigue is also a factor. Fighting the state can wear down many defendants. Attorney fees, numerous court appearances, missed work days and the stress of being a criminal defendant can make pleading guilty seem like a relief. While plea bargains are voluntary (no defendant has to accept any plea offer), the state has a clear advantage in bargaining power. The state has multiple attorneys, investigators and a limitless supply of time and funds for any one case. Defendants can not always afford to pay the attorney or expert fees needed to fight the state. Texas law also works against defendants. Prosecutors have unlimited power to decide if a set of facts is a misdemeanor or a serious felony. 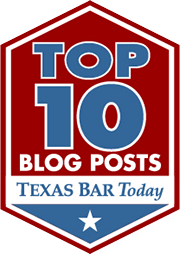 Discovery in Texas is very limited so defendants can not access all the evidence against them. Texas law also prevents some defendants from making bail. Put a defendant in jail, offer her freedom for a guilty plea and you will get a lot of guilty pleas. Which leads me to my final point on plea bargain. Plea bargains carry a great potential to convict the innocent. Remember our first example? Let’s switch the defendant and victim. Bob Badguy is the defendant charge with aggravated assault against Joe Goodguy. Now pretend Bob Badguy is 100 percent innocent, Joe made the whole thing up. The prosecutor offers 10 years felony probation. Bob doesn’t want to risk a lengthy jail sentence and pleads guilty. Most people would say they would never plead guilty to a crime they didn’t commit. However, most people are not facing decades in prison. Plea bargains are pure and simple court sponsored perjury. As a peace officer, for 25 plus years I stood in courtrooms and listened to defendants swear to the judge, under oath, that they were pleading guilty only because they were guilty and for no other reason and that they were pleading guilty without an expectation of mercy or a promise of a reduced charge. The defendant is usually scared to death that if he doesn’t go along with the plea bargain he is going to spend a good portion of the rest of his life in the “jug” whether he’s actually guilty or not. The judge knows the defendant is lying, the defense attorney knows the defendant is lying, the prosecutor knows the defendant is lying, and the defendant knows he is lying but is too intimidated to enter a not guilty plea. Is the act of lying under oath still considered perjury or just expediency? If every defendant would enter a plea of not guilty and demand a jury trial the courts of the State of Texas would be jammed up forever. Maybe, just maybe, the legislators would realize they have, as a result of knee jerk reactions, passed too many laws and have criminalized behavior that would have been better left alone. I know your blog post was originally made in July, but I just came across it (link from your post today about open file policies). Here is a great paper by Timothy Lynch from Cato about the unjust nature of plea bargains. Awesome blog! Keep up the good work! I just read the article and I agree with it. So I have a questions. If I was ever in that situation and offerred a plea,but felt I was innocent and wanted to protect my rights, how do I make the court uphold the bargain end and not violate my rights, how do I fight that? Do I sue the courts or counter plea? I mean how do you fight the system that is suppose to protect and serve? As a Criminology student, I found the information you posted very informative.